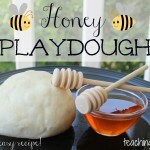 I love making playdough for my kids to play with! 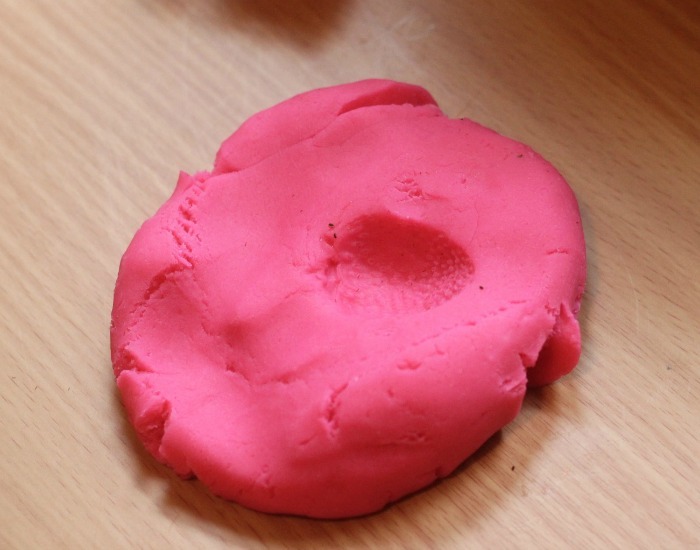 Because it’s so dreary out, I thought I’d make a fun, cheery playdough. 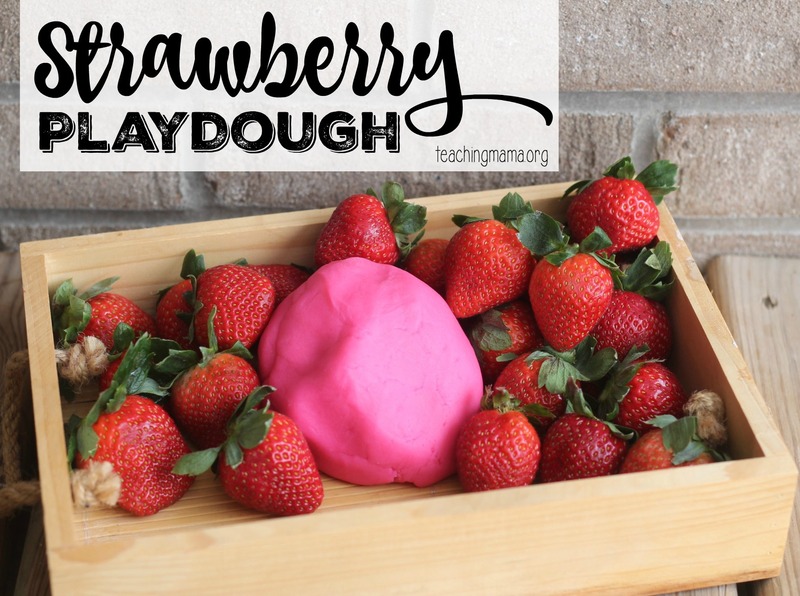 Our strawberry playdough was the perfect thing to cheer us up and keep us busy indoors! We looove the smell of it and it was a blast to play with! 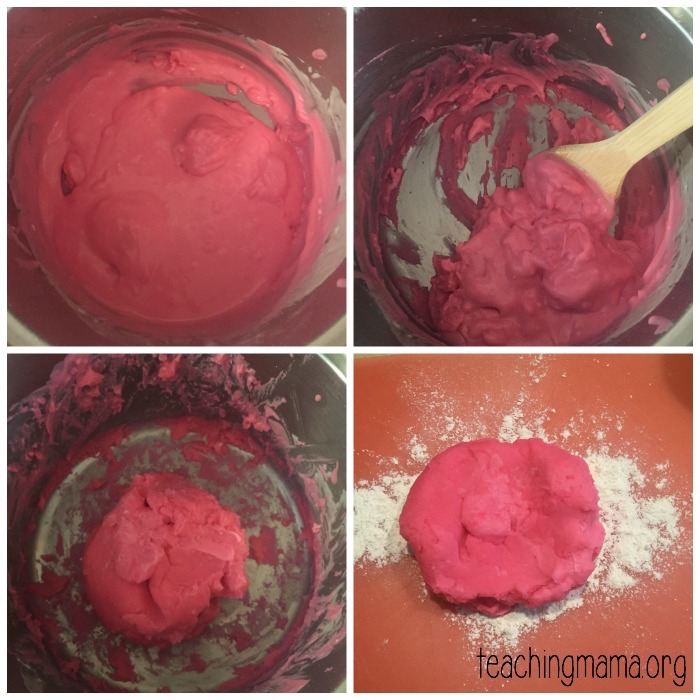 To make the playdough, start by mixing all of the dry ingredients in a pot. 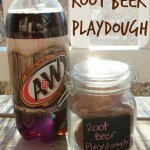 Then add in the vegetable oil, water, flavoring oil, and a drop or two of food coloring. 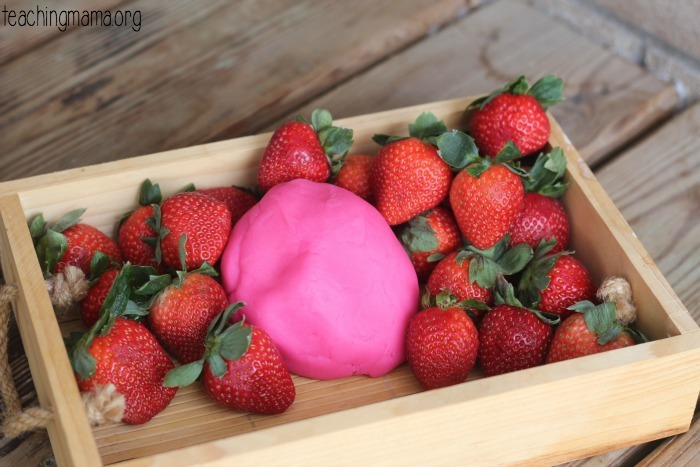 We used gel food coloring because it makes the dough brighter. Place the pot on the stove. Cook on medium heat while stirring frequently. 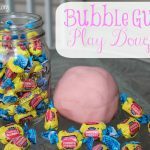 It will start to form into a ball after about 10 minutes. 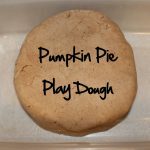 Once the dough is fully in a ball, take it out of the pan and knead it on a board with flour. Then it’s all ready to play with! You will also notice that your kitchen will smell amazing! We made patterns with hearts! 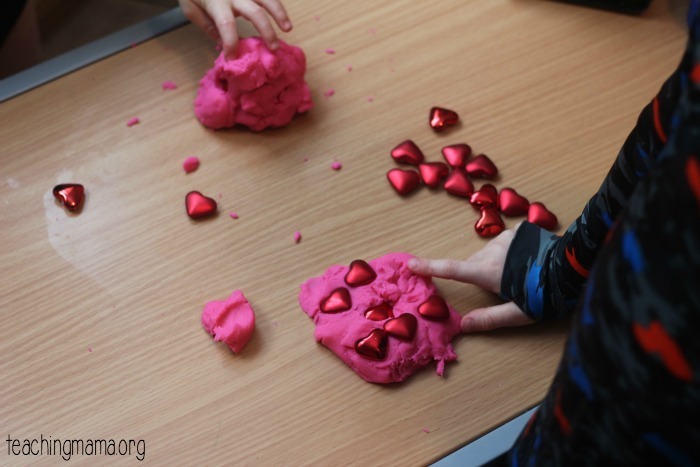 And we made faces with the hearts! 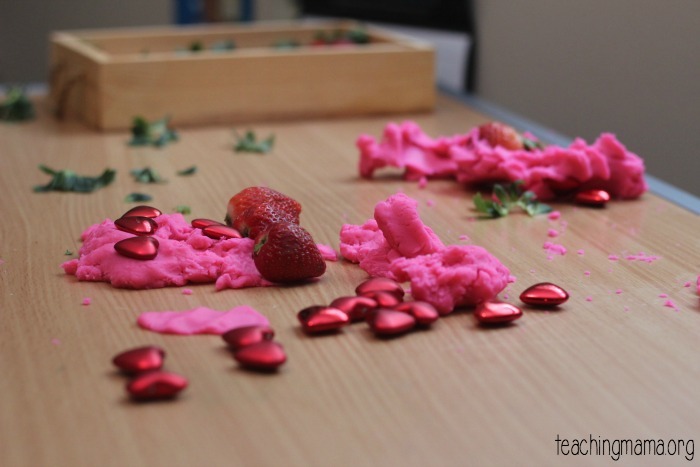 We even made prints with the strawberries. They thought this was neat! We had lots of fun! 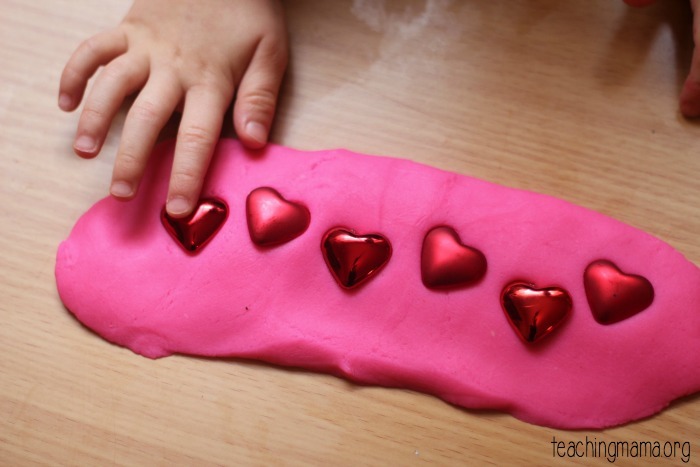 We stored the playdough in a Ziploc bag to play with later. 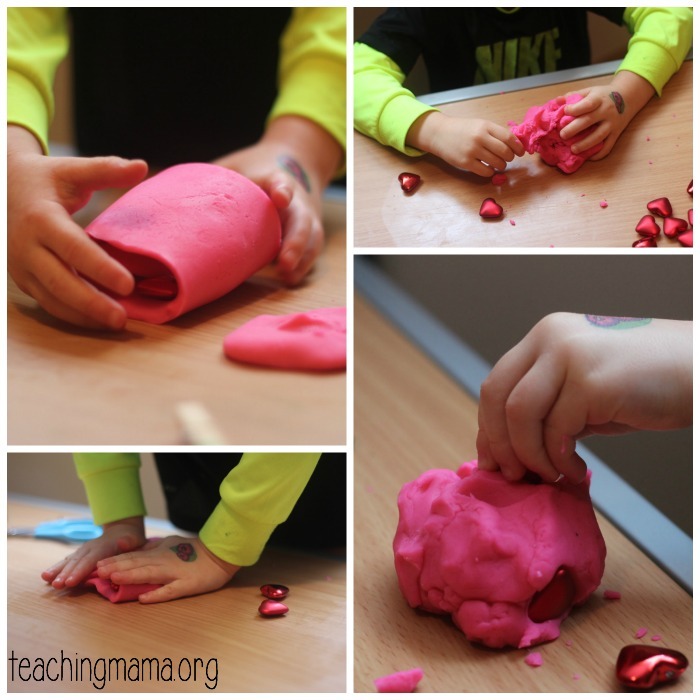 The playdough will last for several months. Happy Playing! 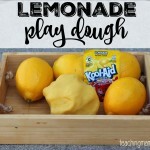 have you tried using fruity tea bags in boiling water no need to cook your playdough? makes it smell good and changes colour too. No, but that is an awesome idea! Thanks, Trudy, for your idea! I felt like a kid myself while reading this. Anyway, congrats for the very creative idea. 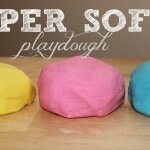 I knew that you can make playdough on your own, but never thought about adding some flavors to it. I think I might as well give it a try, with some other flavors as well!